We are leaving rural China tomorrow, back to Hong Kong. 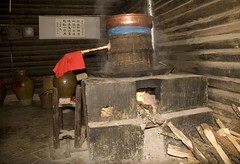 I have loved the practicality and self-sufficiency of the rural Chinese. 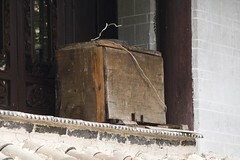 Many people have personal beehives that could be an old hollow log of a self made box. 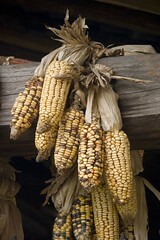 Corn, sunflowers and chillies dry from every beam. There are sunflowers and pumpkins growing interspaced between the main crops. 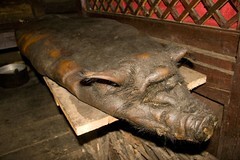 Meats are hung and here I have a pick of a boned pig that has been sat for 7 years (yum). People get on and do. Trading is done on the road side next to the farms or trucks pull up and get jam packed with the produce of the day from the local farmers. We tried some home brew to. The apple brew was good and sweet but the ‘wine’ would make you go blind I recon bt the old lady that owned the still seemed to be doing just fine. I will miss rural China but I am also ready to see more of the Himalayas as we are tantalisingly close now.